Steel Specialties, Inc. has been serving El Paso, TX and its surrounding areas since 1987. 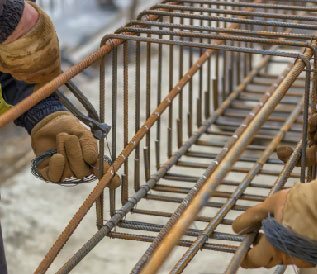 As a leading provider of steel, metal, and other structural material, we are well equipped to produce multi-million dollar projects. Our shop employees know what it takes to meet demands and work hard to surpass customer expectations. Our business is certified by the Historically Underutilized Business (HUB) in the state of Texas and we are proud to be a locally owned small business. While helping bring many of the El Paso area’s buildings to existence, we also look forward to enhancing the relationships of those we conduct business with through fair pricing, high-quality workmanship, and superior customer service. large beams, angles, and tubes. Our Values Begin With You. When looking for high-performance and a reliable name in the industry, you can count on the team at Steel Specialties, Inc. to live up to their word. Our mission has always been to provide quality service to the customers we serve. No matter how big or small the project size, our attention to customer demands and job requirements is at the core of our business practice. 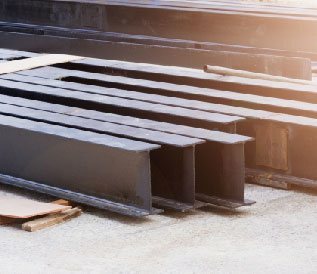 Whether you are in need of small-scale welding or drafting the prototype for a sizeable new building, we can help create a stringent plan to accurately assess your needs. We welcome questions on materials and project plans. We always strive to provide our knowledge where it is needed. To better serve you, we’d like to know what you’re looking to accomplish so we can offer an estimate and detailed timeline of the plan from its starting date to the final day of completion. We keep close communication with our customers every step of the way, so there is a full understanding of the components necessary to complete the project. If we take on your project, it’s because we’re fully confident in our ability to meet your demands. As a Steel Specialties Inc. customer, your project will be completed on time and within budget. Our decades of experience is another indicator that you can expect excellent results. We guarantee you will be satisfied with our services because we take pride in customer satisfaction. Achieve Quality Results by Contacting Us Today. If you are in need of a steel fabricator or other building specialty products, please contact us today. We service El Paso, TX and its surrounding areas. Our office is located at 750 Pendale, El Paso, TX 79907 and we can be reached at (915) 590-2337.